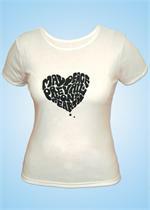 Displays the message May Peace Prevail on Earth in a white heart. 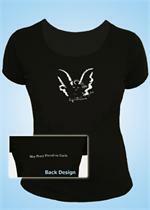 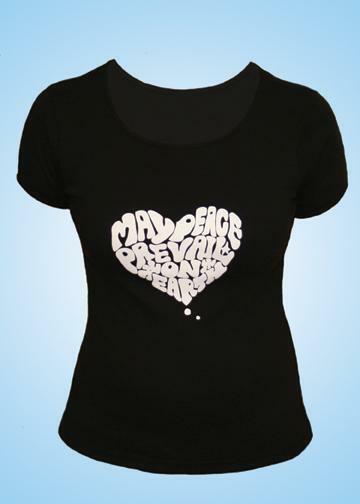 White T Shirt with Black MPPOE in a heart design. 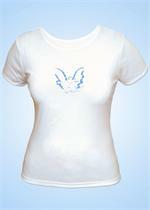 Infinite Love T-Shirt designed by Japanese artist, Anjuli.